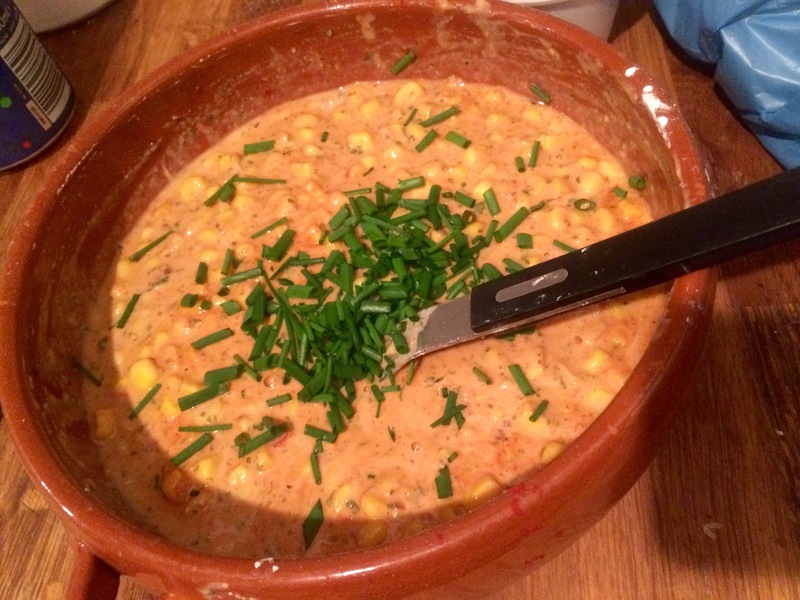 Home › Lunches › Sweetcorn fritters and #simplysamosas an actual #nationalvegetarianweek meal! This is completely by accident.. There was and will not be a real intention to partake in a week dedicated to something.. 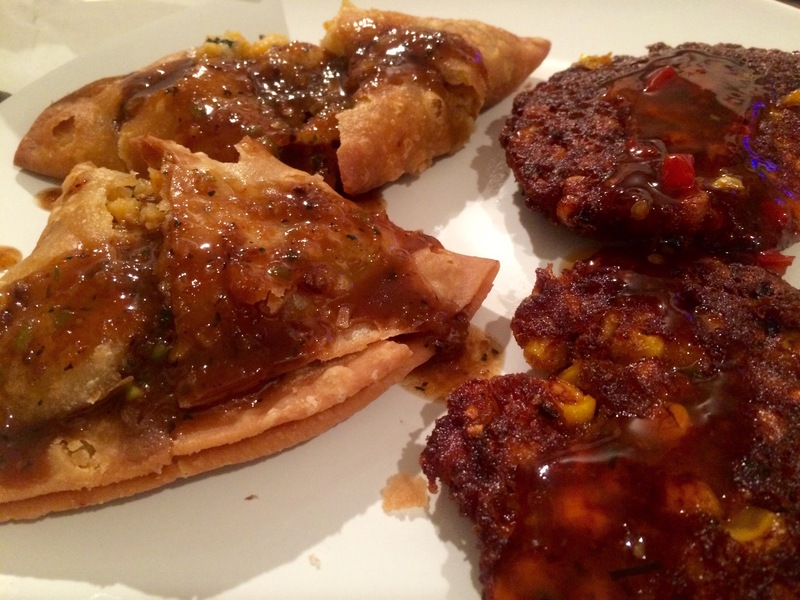 I just don’t get it.. Just eat well, often and enjoy it.. Whatever you feel like..
And this is what we felt like ..
Two delicious samosas from @simplysamosas a great sauce that has heat, sour, sweet and savoury notes.. 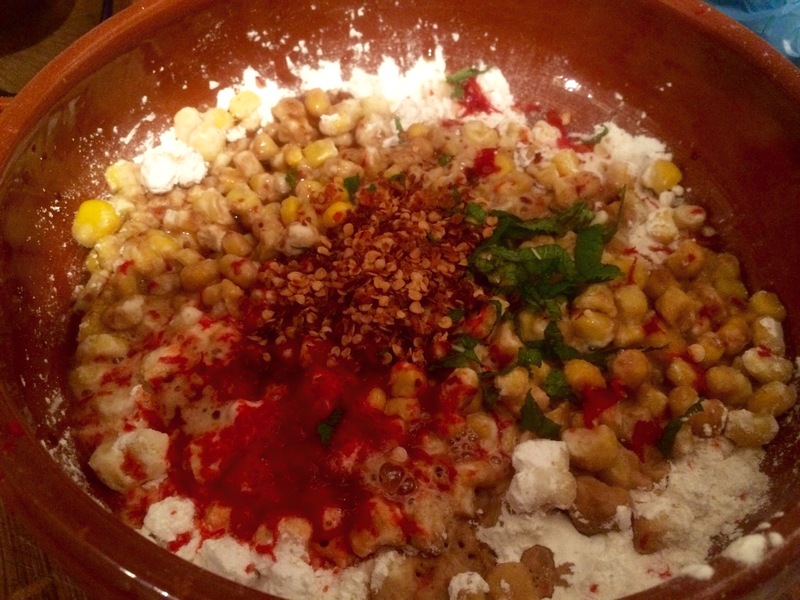 Seriously good yet cannot unravel the ingredients! And sweet corn fritters ..
Whooped up into a gloopy mic with some fresh snipped welsh chives from the garden..
Fried off in sunflower oil .. Drained on IKEA brown paper (of course!).. 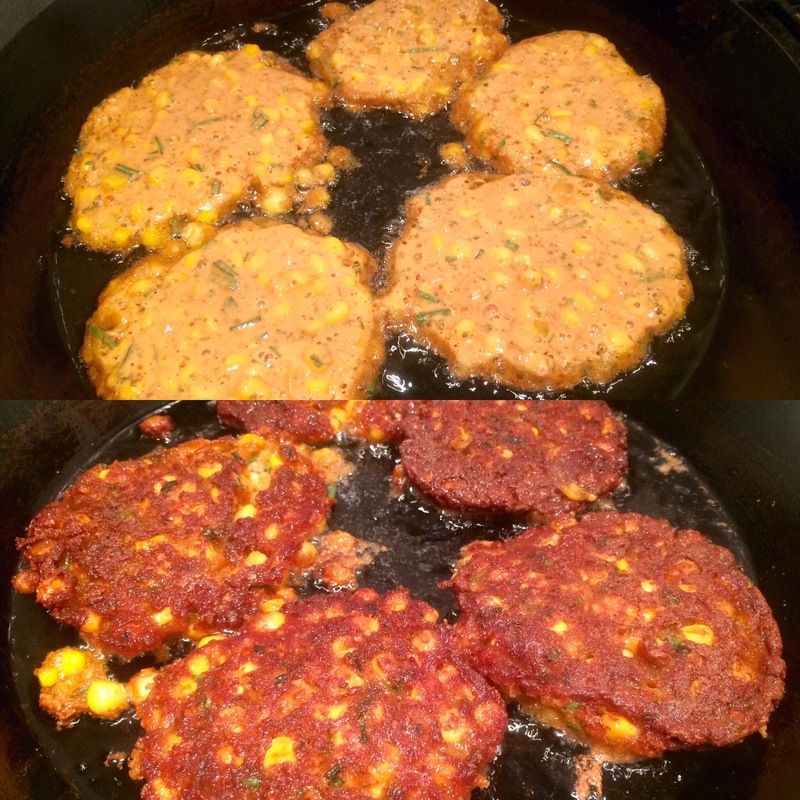 Popping fried foods onto brown paper is great.. the fat goes yet the crisp remains.. no steaming you see in the fibres.. (Or something like that anyways…)..
Thai sweet chilli sauce makes those sweetcorn fritters zing ! 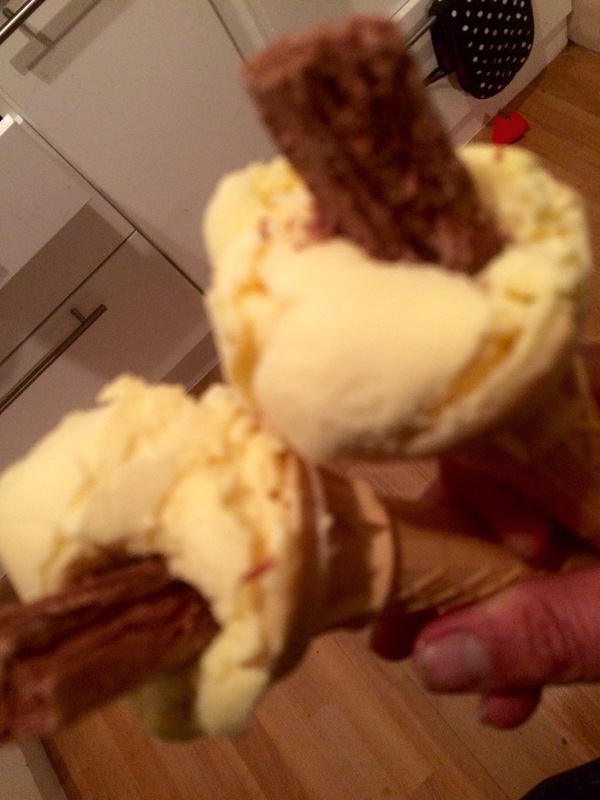 A couple of old school ice creams were needed! Oh and we had a freezer malfunction.. The top freezer had gone kapoot! Watch this space for a heap of hogget recipes as I try rescue the wonderful meat..